Experience a local side to London by spending a day out with Ye Olde England Tours exploring some of the incredible and varied markets that the city has to offer. First off we will visit the famed Camden Lock Market which includes a vast number of stalls selling fashion, music, games, health and beauty as well as many restaurants, bars and cafes. 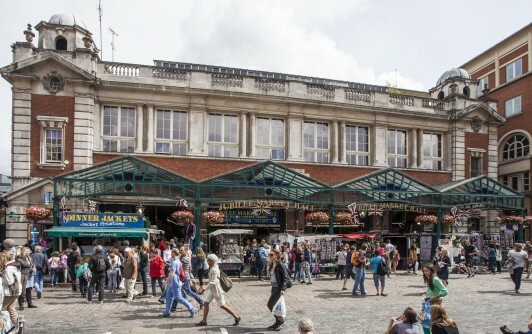 Probably the best-known market for tourists is Covent Garden, originally a fruit market that now sells almost everything. The Apple Market is found in the North Hall of the Marketing Building and sells British-made crafts, jewellery, leather goods and more. You will always find a range of curios every day of the week. Open every day of the week, the East Colonnade Market has a variety of stalls selling products such as handmade soap, jewellery, handbags, hand-knitted children’s clothing, a magician’s stall, sweets, artwork and homeware. In the South Piazza, the Jubilee Market changes its wares daily. On Mondays, the market is dedicated to antiques. From Tuesday to Friday, a general market operates with traders selling clothes and household goods. At weekends, the market offers arts and crafts. 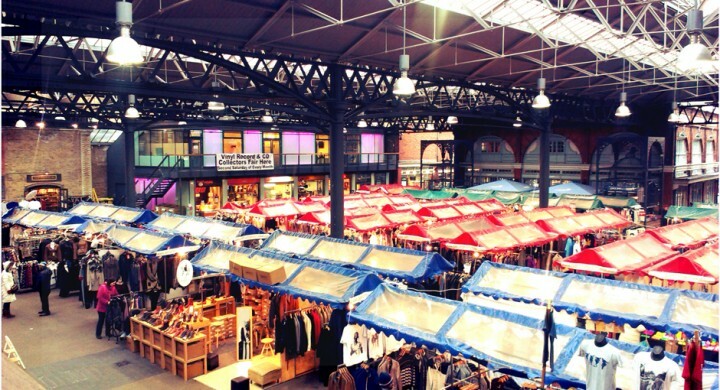 Another great market to visit is Old Spitalfields Market, which as a bonus is housed in one of the finest Victorian market halls. Spitalfields is for those who enjoy fashion, antiques and food offering vividly coloured, and with distinct and quirky creations of up-and-coming designers to bohemian, vintage and African designs. Niche shops, Sniff and boutiques Fairygothmother offer everything from hand-crafted wooden toys to today’s must-have design item. New restaurants Las Iguanas and La Tasca compete with the international food court as well as fresh food market stalls providing a gastronomic paradise for discerning food lovers and families alike offering high quality and affordable foods including deli-style dishes, fresh produce, artisan breads and plenty of organic and fair trade products. Greenwich Market has just undergone a complete refurbishment to its century-old market hall, and there is now no better place to visit packed as it is full of unique and distinctive arts and crafts. Well known for its designer makers and small cottage industries, customers have access to items that cannot be found anywhere else in the world. Enjoy the vibrant atmosphere, take in some classical music performed by students from nearby Trinity College of Music, and enjoy the continental food court whilst browsing through the wonderful array of over 120 arts, craft and antique stalls. Finally, we will head back to the City and visit Borough Market, Borough Market’s gourmet food market consists of more than 100 stalls and stands. Producers from all over the country bring a range of fresh produce to the market, including fish, meats, vegetables, ciders, cheeses, breads, coffees, hot foods, cakes and patisseries. Other stalls specialise in produce imported from abroad. The market is open from Monday to Saturday. 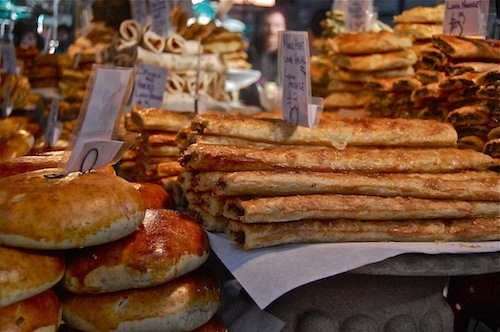 Street Food from pastries to cakes, falafel to Stir fry. Of course, all our tours are totally personalised so if you’d rather visit somewhere different such as Portobello Road Market or Brick Lane then you only have to ask! I will come and meet you at your hotel or mutually convenient location and will accompany you around all the markets depending on whatever interests you. All at an unhurried pace and a totally private tour… I’ll even carry your bags if you buy something heavy!